Shane Duffy went from hero to zero as his sending off saw Blackburn relinquish a lead and fall to 2-1 defeat to Preston at Ewood Park. The Rovers defender, captain for the day, struck the winner last time out at Brentford but saw red after saving Joe Garner's shot on the line. It led to the former Rovers player slotting home a penalty and his strike partner Jordan Hugill scored what proved to be the winner in the 43rd minute. 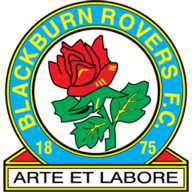 Blackburn had dominated before the sending off and deservedly went ahead 13 minutes in through Elliott Ward's first goal for the club but after that Simon Grayson's men were in control. Ben Pearson, Daniel Johnson and Jermaine Beckford all missed superb chances to stretch the lead, but it was a deserved win for the visitors who recorded their second straight victory on the road and their first at Ewood since 1979 to further cement their impressive reintroduction to second-tier football. Both managers made two changes from their last outings. Blackburn's suspended captain Grant Hanley was replaced by Ward, while for Preston, Garner and Alan Browne returned from suspension and injury respectively. Paul Lambert's men looked refreshed and deservedly went ahead in the 13th minute when Elliott Bennett's corner was powerfully headed against the crossbar by Hope Akpan but Ward showed the reactions of a striker to hammer home a well-struck low volley from the rebound. The goal went a long way to silencing the travelling thousands and Rovers continued to go for the jugular through Bennett who saw a shot blocked. A moment of madness completely turned the game on its head midway through the half though. Adam Reach's cross was cushioned to Browne on the edge of the area, and although Jason Steele brilliantly denied him, Garner's rebound was only repelled because of Duffy's outstretched arm and he saw red for the indiscretion. Former Rovers man Garner stepped up and rifled home into the bottom left corner for his sixth of the season. 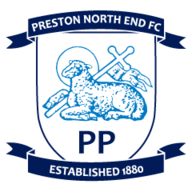 Ruthless Preston hammered home their advantage in the 43rd minute when another former Rover in Paul Gallagher did the damage with a beautifully-disguised cross that found Hugill who volleyed emphatically past Steele. Preston should have put the game to bed in the 54th minute when Reach was set free down the left but his inch-perfect ball was side-footed wide by Pearson who had the goal at his mercy. The referee incensed the Rovers faithful and management when failing to award a penalty after Chris Brown went down under Tom Clarke's challenge, though Preston should have put the result beyond doubt themselves later on. First, Daniel Johnson's close-range effort was blocked by Matt Kilgallon and Beckford fired wide, but it did not matter in the end.